Bharti Airtel, India's top mobile phone carrier is likely to extend its ‘Har Friend Zaroori Hai, Yaar' (HFZ) campaign by introducing an all-new online viral initiative at its YouTube channel. The company will publish 20 videos over a period of time on the Web using the concept of ‘gamification'. These videos are created by Taproot and inspired by interesting ‘friend types' or tags created in a brand activity on Facebook. The viewers of the video will be able to view the videos by unlocking ‘video levels. Tagging others and sharing these videos on social networks will allow them to gather points. Finally they can upload their own ‘friend type' video the grand prize is a Nokia Lumia 800 and a trip to Ibiza, Spain. The original HFZ soundtrack is now also available in new interpretations including laavni, bhangra, hip-hop and folk. 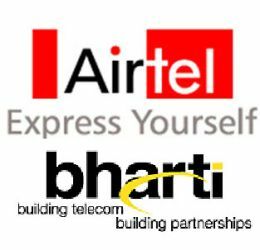 Bharti Airtel offers mobile voice and data services, fixed line, high speed broadband, IPTV, DTH, turnkey telecom solutions for enterprises and national and international long distance services to carriers. The company has been ranked among the six best performing technology companies in the world by business week.